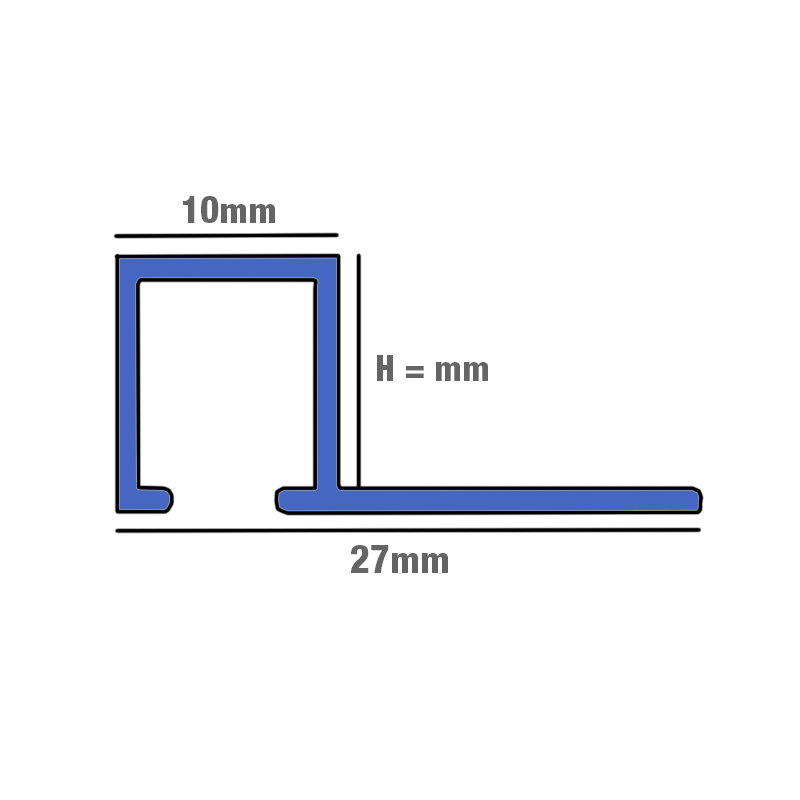 Corners are available on certain sizes. 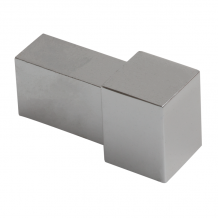 12mm - TDP120.91 Polished Chrome Square Edge Smart Tile Trim. 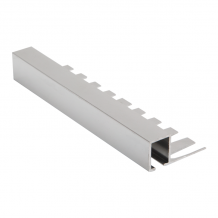 An alternative to the square edge TDG Contour trim, this trim is versatile in that it can be used as and edge trim on the vertical and horizontal with wall tiles, on the horizontal with floor tiles or as a feature strip/listello in wall or floor tiling applications. 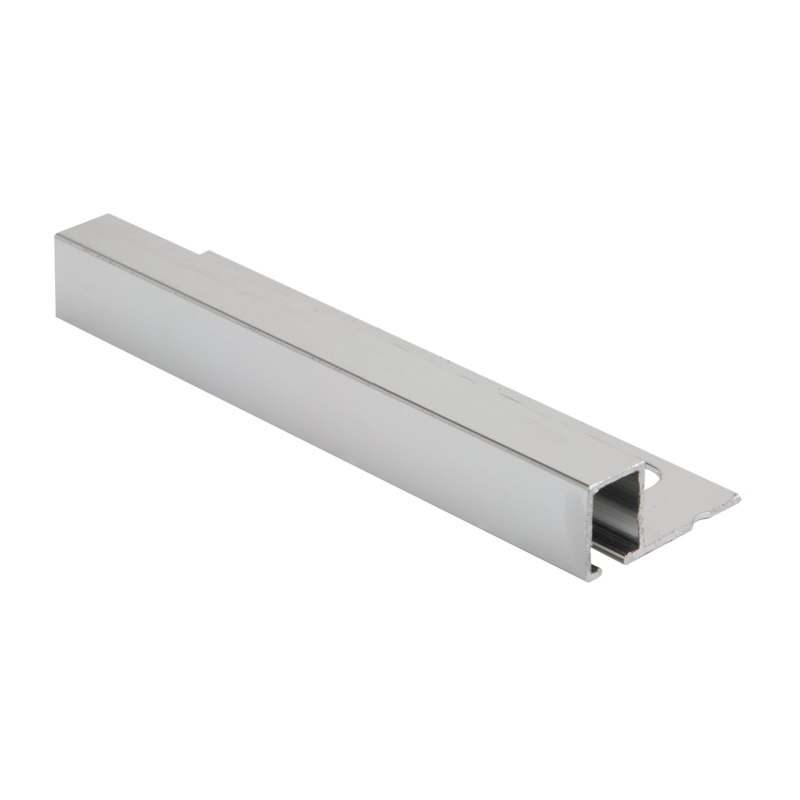 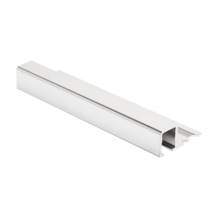 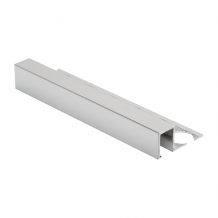 The aluminium profile is extruded which gives the square appearance, this makes it specifically useful when providing a finished edge for rectified, square cut porcelain, marble and stone.